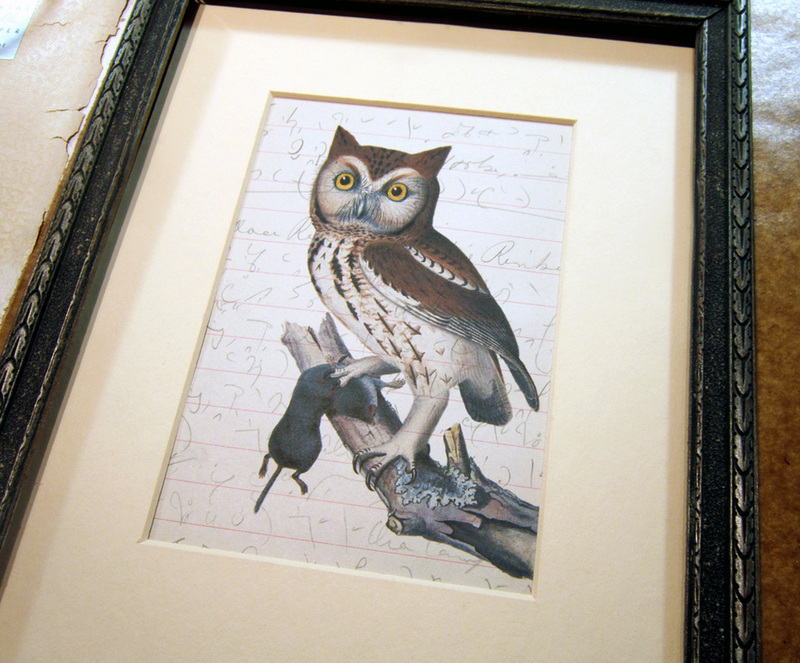 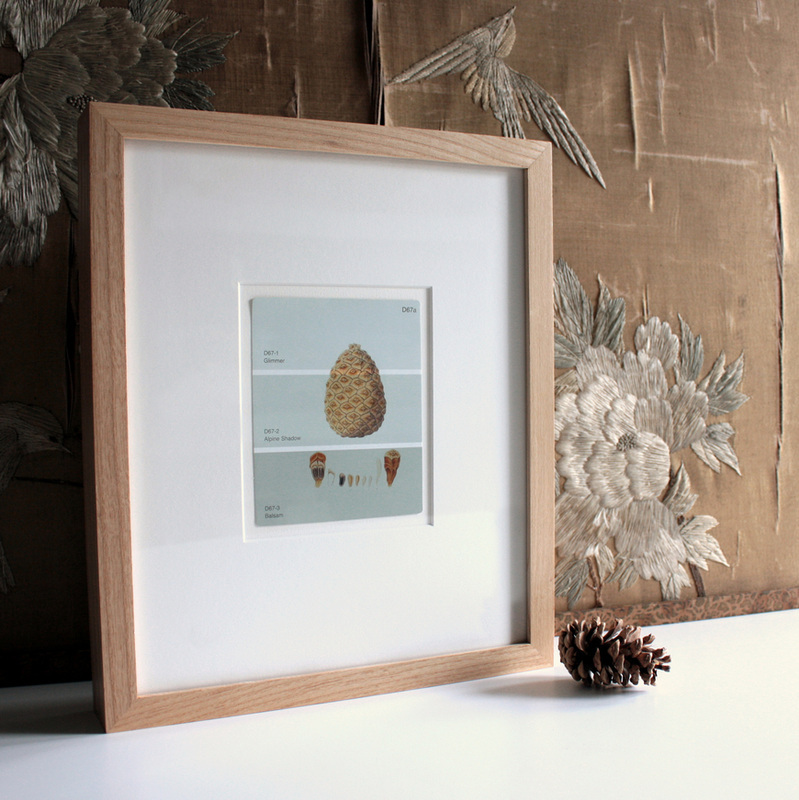 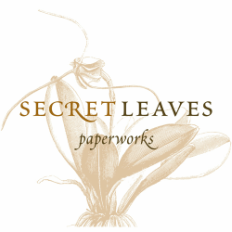 Owl print on vintage steno paper with handpainted gold accents. 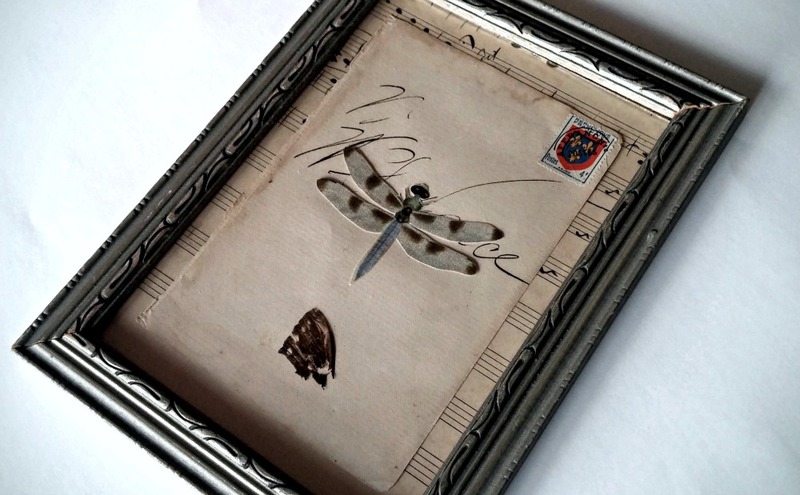 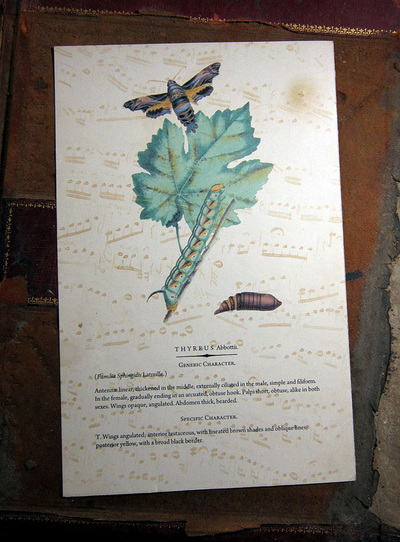 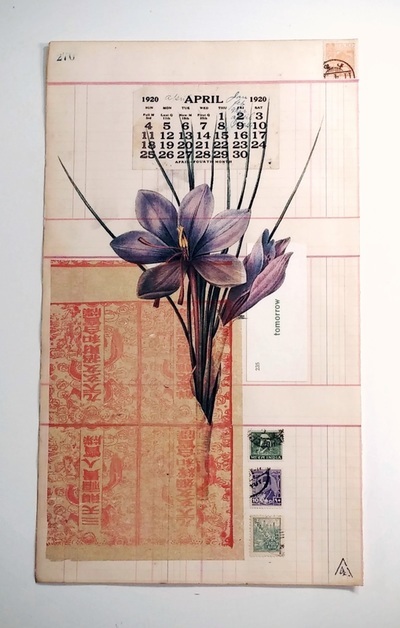 Botanical print with moth and caterpillar on vintage sheet music. 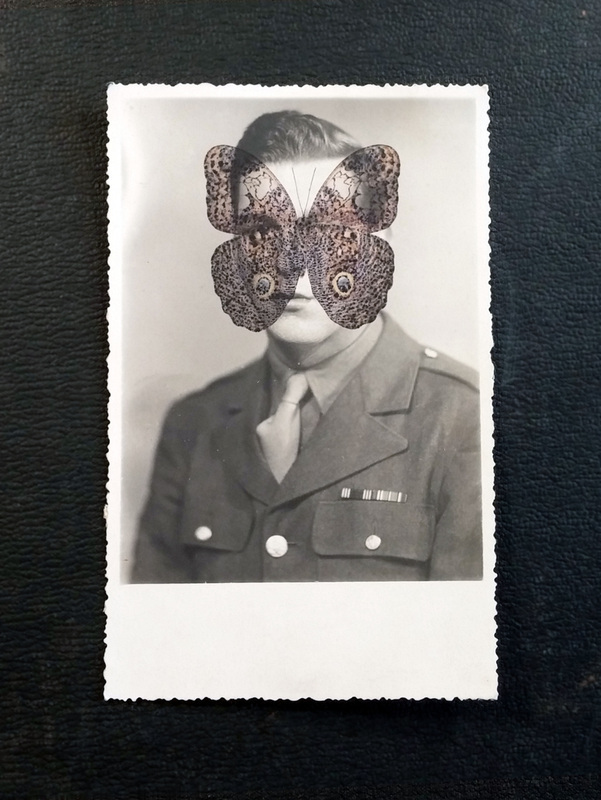 Butterfly illustration printed onto a vintage photograph. 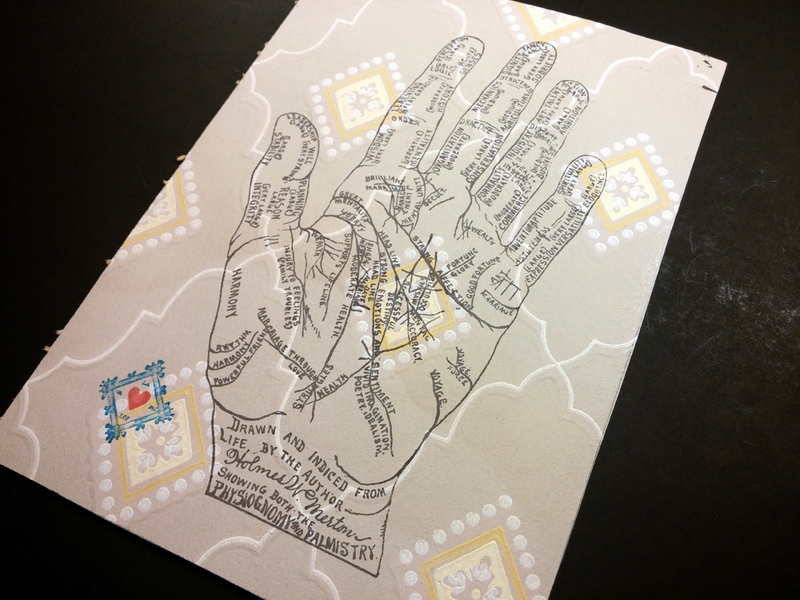 Palmistry hand on vintage wallpaper. 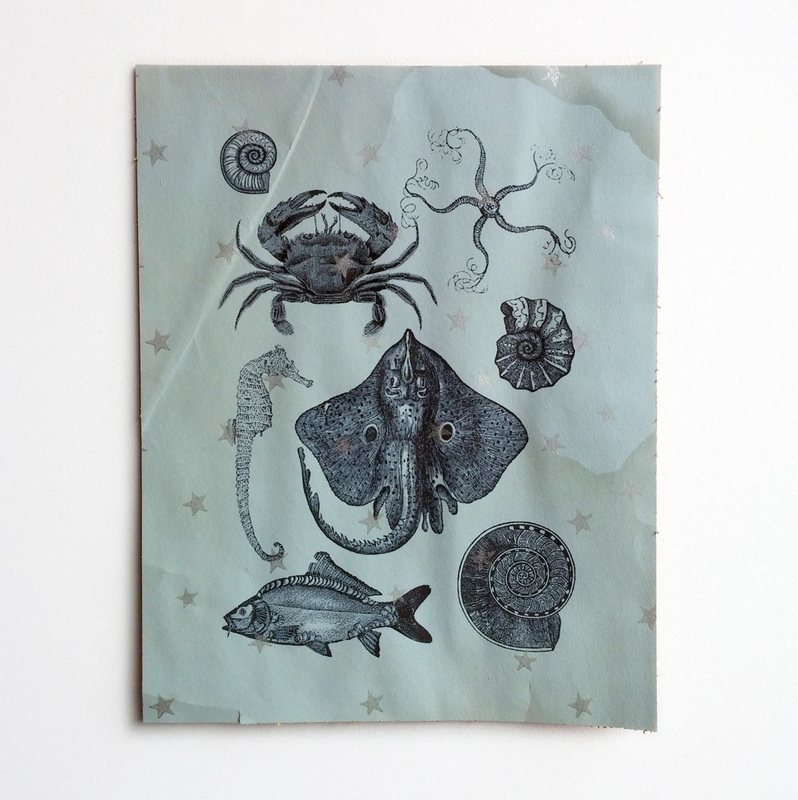 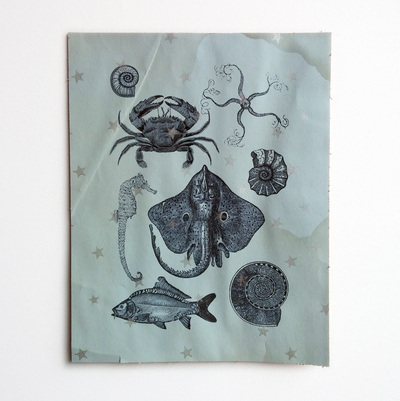 Sea Life print on vintage wallpaper from the 1930s.